EUR/USD set new two-month lows but then staged a remarkable recovery. What's next? In the near term, it is locked in a narrow range, but taking a broader view, the upside is more appealing. The Technical Confluences Indicator shows that euro/dollar faces resistance at 1.1360 where we see the convergence of the Fibonacci 23.6% one-week, the Bollinger Band 1h-Upper, the Fibonacci 23.6% one-month, the BB 4h-Upper, and the Pivot Point one-day Resistance 1. Higher above, the pair faces weaker resistance on the way up with 1.1412 where we see the confluence of the Fibonacci 38.2% one-month, the Fibonacci 61.8% one-week, and the Simple Moving Average 200-4h. 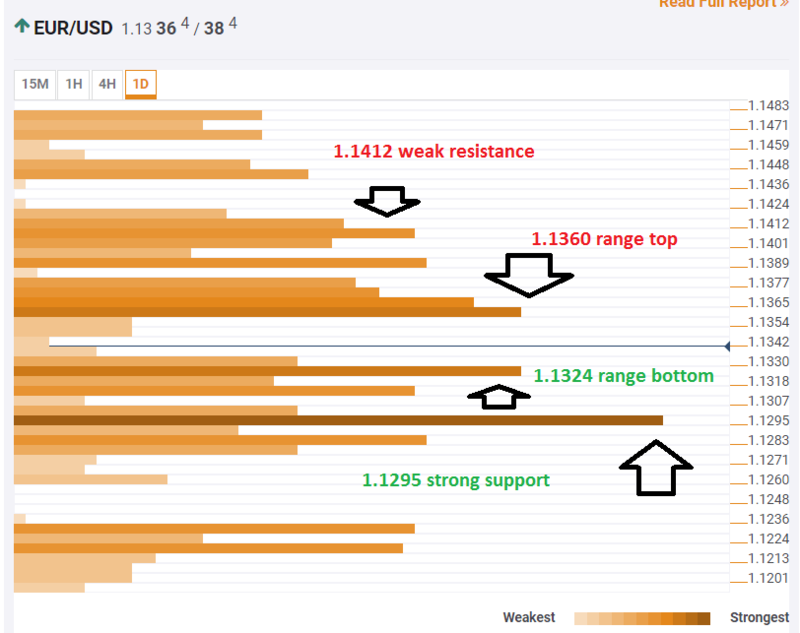 On the downside, 1.1324 provides support which is similar to resistance at 1.1360. At 1.1324 we find the BB 1h-Middle, last week's low, the SMA 100-1h, the Fibonacci 23.6% one-day, the BB 4h-Middle, and the SMA 5-4h. Further down, we see the most significant support line at 1.1295: we note last month's low, the Fibonacci 61.8% one-day, and the PP one-month Support 1, all substantial lines.